Molly Guinness has tea with Oscar-winning screenwriter Julian Fellowes to talk about his new book, Past Imperfect, and London’s fading high society. Forty years ago, London was a swirl of fancy balls, tea parties, and menacing matrons on the hunt for suitable matches to pair with debutantes. That world is so alien now, it could have been an inauspicious subject for novelist Julian Fellowes’ new book, Past Imperfect, but he’s pulled it off. The novel traces the 1968 London season through the memories of its aging narrator, who was one of the young gallants and who now receives a message from a wealthy old enemy asking for his help finding a child he’s pretty sure he conceived during his party years. Reluctantly persuaded to overlook his grudge, the narrator begins a trawl through the lives of former friends and forgotten lovers. Past Imperfect is Fellowes’ second novel. Originally an actor, he has written screenplays for Gosford Park, The Young Victoria, and Vanity Fair, among others, as well as the “book” for the musical of Mary Poppins. He directed Separate Lies and From Time to Time, and with so many projects in the pipeline now, it is hard to know when he’ll have time to adapt Past Imperfect for the screen. Fellowes tells me he was once described by a reviewer as a very ugly actor with too many teeth, but from my vantage point his teeth look just fine. He should look bedraggled when he arrives for tea in the Cadogan Hotel in Sloane Street, having left the house in a hurry without his coat on one of the rainiest days of the year, but he is elegant, with a dark suit and distinguished brow. He leans back on the sofa, legs crossed, and speaks deliberately, with a strong stress at the end of each sentence. He seems to give gratifying thought to every question and intersperses his thoughts with quick similes. Talking about his attitude to the startlingly blunt criticism many people have of his work on meeting him, he says, “You wouldn’t say to a dentist, ‘I hear my aunt had the most awful toothache after seeing you.’” But he is surprisingly relaxed about it, really, pointing out that writers encourage the public to have a relationship with them and their work. The hunt for the missing mother that drives Past Imperfect reveals the terrible disappointments that have befallen many of the bright youth of ’68—unhappy marriages and dwindling fortunes are just the beginning. Fellowes wanted to write a book about time, and the disappeared ritual of the Season, which lasted from November to the beginning of Lent, and the coming-out balls gave him the structure. It is elegantly done and perfectly captures a ritual so remote it is hard to believe it was still in full swing only 35 years ago, and although there are a lot of transitions to and fro through time, it feels effortless. Fellowes answers disarmingly when asked whether his narrators are him, as if it’s not for him to say. “I’m always hearing I’m like both the narrators, but they’re so unlike each other I don’t know that I can be identical to both.” That’s true. He’s nicer. The narrator of Snobs could afford to be endlessly ironic and cynical because he was bringing to life a cast of caricatures. And he’s happier. One thing we can be sure of from Fellowes’ callow youth is that he sure did go to a lot of parties. A strong believer in writing about what you know, he tells me that every social occasion in the book is based on one he attended, even tea parties on dodgems in Battersea Park and a dance among Madame Tussaud’s waxworks. 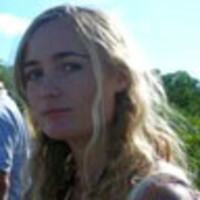 Molly Guinness has written for The Spectator, The Times Literary Supplement, and Literary Review, among others. She is a reporter at EuroWeek and is based in London.